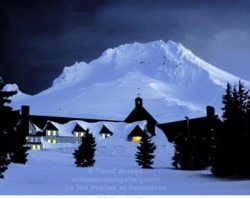 Located in the beautiful Cascade Mountain Range and just below the magjestic Mt Hood, the Mafia Mansion is a perfect example of how things here are not how they appear. Containing a full thirteen stories and a basement, with a spacious backyard and 75 car garage, the Mansion has been enlarged by a few choice spells from our Co-Boss, Lidia Tagliano. Across the sprawling 13 floors we have amenities such as an indoor swimming pool filled with money, our own Starbucks, Dunkin Donuts and Ben & Jerry's Ice Cream; not to mention the IMAX, soundproof music rooms (complete with a fully equipped recording studio), concert hall and totally stocked video game room, da familia lives large since money is no object. Not everything in the Mansion is as pleasant as money pools and donut shops; dark things lurk in the shadows. In the backyard, not only is there the concert hall and outdoor swimming pool, there is the Pit-O-Doom where people can battle, and at the end of the hall on the 7th floor is Sabina's closet. Guarded by a mysterious beast known only as "Bacon", he will eat your soul if you try to enter without permission. Other than the Shrine to Vurk Hating (which everyone knows about) it is unknown what the closet contains, except for its many rooms, one of which four people have gained keys to. Do not enter unless you wish to die. Everyone in da familia has their own room, which they are free to decorate as they wish, and it expands to suit your needs. So settle in, pick a room, and enjoy your stay in the Mansion with da familia!